A dynamic and talented team of volunteer organizers made it possible for Telemed Foundation to bring this gala and fundraising event to life. Their time, imagination, and dedication have produced wonderfully innovative, entertaining, and productive events that are truly one-of-a-kind in southern California! The host of our event, Dr. Adel Eldahmy, founded Telemed Foundation, a non-profit organization 501(c)(3), in 2012. He received his medical degree in 1975 from Ain Shams school of medicine in Cairo, Egypt and completed his residency in psychiatry and neurology at the University of California, Irvine in 1984. In 1997, he received his Healthcare MBA from the University of California, Irvine. Dr. Eldahmy previously served as Chief of Staff at Los Altos Hospital in Long Beach, California, and was the Medical Director of the eating disorders clinics of Long Beach and the Long Beach Psychiatric Center. Dr. Eldahmy is currently the Medical Director of the out-patient behavioral clinics Laguna Behavioral and MDLaguna. Ms. Essraa Nawar is an aspiring academic librarian, fundraiser, interfaith activist, public speaker and writer. She has been the Coordinator of Library Development and Marketing and the Chair of the Arts, Exhibits, and Events Committee at the Leathery Libraries at Chapman University, California since 2009. Ms. Nawar received her Bachelor’s degree in English Commerce with an emphasis in accounting from Alexandria University, Egypt in 2002. She also holds an MBA from the American Management & Business Administration Institute, Cambridge, Massachusetts, and a Master of Arts in Organizational Leadership from Brandman University, California. She is currently pursuing a Master of Library and Information Science at San Jose State University, California. 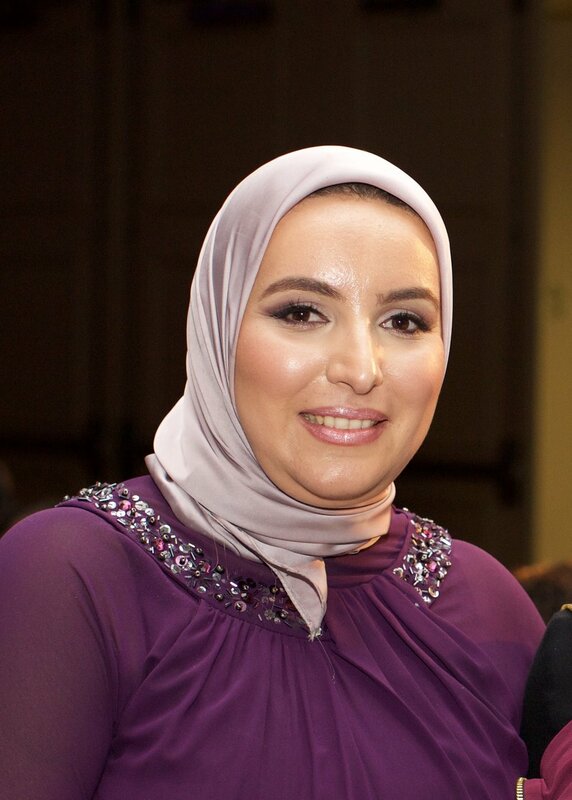 Ms. Nawar is a regular contributor to the Huffington Post, the Orange County Register and several other magazines and blogs where she shares her story as a Muslim Woman living in America in an effort to bridge cultural misunderstandings between Arabs, Muslims, and Americans. She is very passionate about and active in the topics of diversity, cultural and religious intelligence, interfaith dialogue, and empowering Muslim women. Ms. Nawar recently took her diversity message to the international stage where she spoke at a TED conference at the Technical University of Munich on how to feel welcomed and empowered in a diverse world. We are very proud to present Dr. Hesham El-Askary with the Telemed Foundation Excellence in Community Service Award. 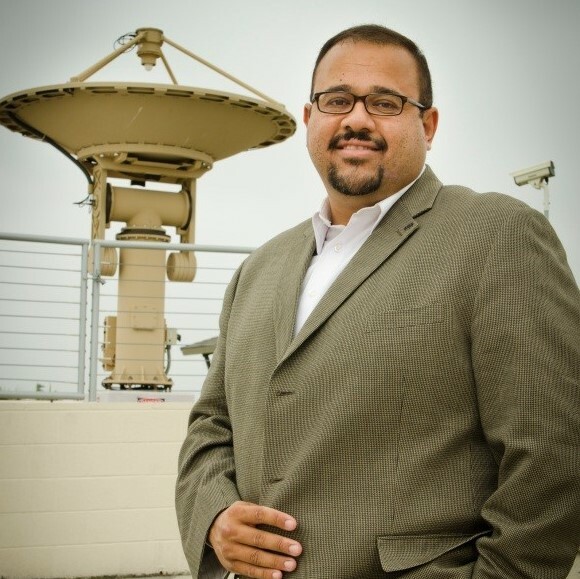 Dr. El-Askary is a Professor of Remote Sensing and Earth System Science and the Director of Computational and Data Sciences Graduate Program at Chapman University. His research interests, which have been supported by the National Sciences Foundation, NASA, the US Department of Agriculture, and the European Union, include dust storms monitoring and detection using remote sensing technologies, air pollution over megacities due to natural and man-made effects, and climate change and its impacts on sea level rise and coral reefs. Dr. El-Askary received his Ph.D. in Computational Sciences and Informatics from George Mason University in 2004 along with two MS degrees in Computational Sciences and Earth Systems Sciences. He is the 2015 recipient of Chapman University's elite Senior Wang-Fradkin Professorship Award. As an active scholar, Dr. El-Askary uses his skills in actively helping the creation of real and true partnerships between Chapman University and high schools to provide opportunities for high school students advancing their college education. Ms. Pence is ranked in the top 1% of all LPL Wealth Advisors in the United States. As President and Co founder of Pence Wealth Management, a Registered Investment Advisory Firm, Ms. Pence has helped the firm grow to approximately $1.4 billion. After her family’s home was bombed during the Six Day War, Laila emigrated with her family from Egypt to the United States as a teenager. She landed first in New York City, where she sold hot dogs and knishes on the Staten Island Ferry, then moved to California to attend the University of California, Los Angeles. Today, Ms. Pence has earned accolades from numerous industry organizations and publications. Both Forbes and Barron’s puts her in the top 100 financial advisors nationwide, and the Financial Times featured her in the 400 Top Advisers nationwide. Ms. Pence was the recipient of the Orange County Business Journal's 18th Annual Women in Business Award, and a year later she was named #1 Wealth Manager in Orange County. Laila is co-author of the book “Living and Learning,” published by Quantum Press in 2005. She is also a licensed real estate broker who specializes in 1031 exchange transactions and triple net leases nationwide. Eldon Dryden Pence III serves as the Chief Investment Officer of Pence Wealth Management. He is a Registered Principal & Investment Advisory Representative with LPL Financial. Under his leadership and investment direction, the firm has grown to be one of the most respected wealth management firms in the nation with both the firm and its advisers frequently recognized by industry journals such as Forbes and Barron’s. Dryden obtained his degree in Economics from Harvard University in 1982. In that same year he was commissioned in the US Army as a Military Intelligence Officer through the ROTC program at Massachusetts Institute of Technology (MIT). After further Graduate Study in Law and Crisis Management, Dryden functioned as a Military Intelligence and Special Operations Officer, specializing in Psychological Warfare. He was reactivated for Desert Storm and is the recipient of three Meritorious Service Medals, both the Bronze Star, Army Commendation Medal with “V” for valor in combat, and the Legion of Merit from the U.S. Army, one of the highest honors earned by a soldier. After commanding joint intelligence units in support of both US Central Command in the Middle East and US Africa Command, Colonel Pence retired from the Army Reserve in July 2015. From 1985 – 2001, as a civilian, he served as principal owner and President of a regional investment banking firm, headquartered in Fort Smith, AR where he led and participated in over $1 billion in financial transactions. In 2001, Mr. Pence retired from Investment Banking, selling the firm to his junior partners and joined his wife Laila Pence in forming Pence Wealth Management in Newport Beach, California. Formally trained as an economist, Dryden Pence received his Certified Portfolio Manager designation from Columbia University, and as CIO of Pence Wealth Management he oversees the service of over $1 billion in brokerage and advisory client assets. Dryden Pence combines his formal training and knowledge as an economist with his years of experience in psychological warfare to bring a unique understanding of human behavior and how it affects the economy and the markets. Dryden Pence is a frequent speaker at regional and national events.